All airports in the world are created differently. 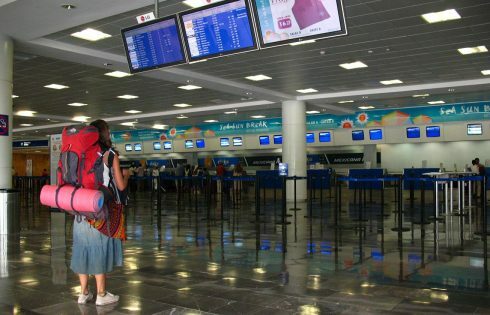 If you plan to visit Cancun, Playa del Carmen or The Riviera Maya, you have to arrive to Cancun international airport. 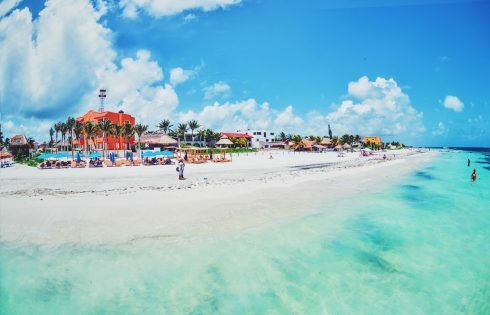 This airport is located 10 miles from the city of Cancun, and is considered the second most important in Mexico due to the number of visits it receives from international flights. This airport operates 71 airlines, offering 110 destinations. Here we give you some information about the most outstanding of this airport. CANCUN AIRPORT HAS 3 TERMINALS. Formerly, the Cancun airport was very small, but currently has three terminals. Terminal 1 is for charter flights and private flights, terminal 2 is for all national and some international airlines. Terminal 3 is international flights only. 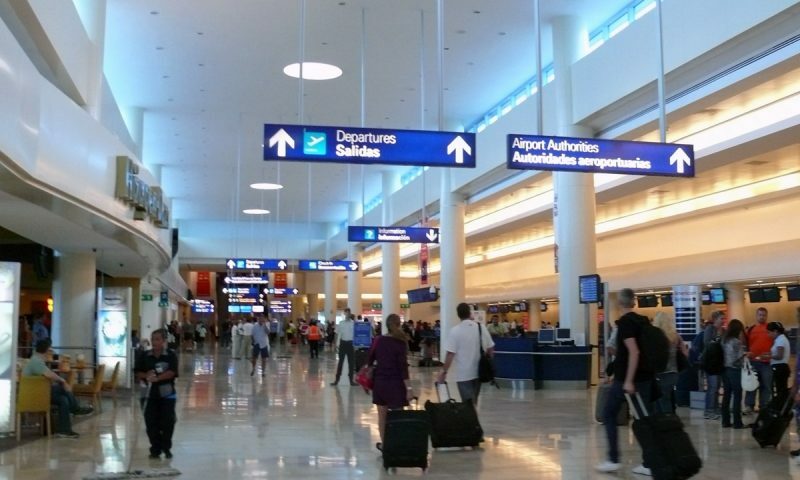 If you do not have the reservation of your transportation for your hotel, you can take a private or collective taxi from the airport or take the ADO bus that is in the terminal 2. These buses leave you in the center of Cancun and Playa del Carmen. If you want to hire your services of transfers before arriving, you have many options to book it on line. One of them is Canada Transfers which is a well know carrier. When you go through immigration you will be given an FM-T or Tourist Visa. 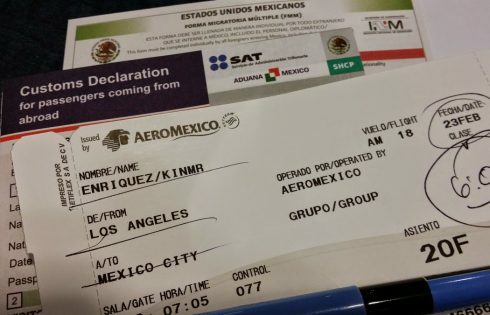 Do not lose it because, you will need it to leave Mexico. In case you lose it, you will have to pay a fine. The airport is not responsible for baggage or goods deposited in the aircraft. 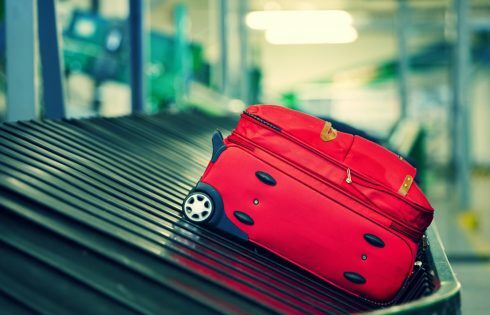 If you are missing a piece of luggage or it is damaged, you should contact your airline directly. The airport cannot solve these problems. 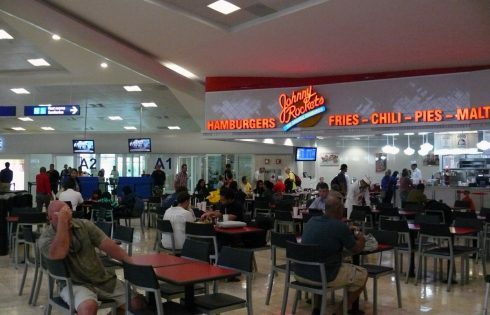 Some of the services provided by the Cancun airport facilities include the attention, reporting and car rental modules such as Advantage, Avis, Budget, Alamos, Buster and others. Along the two terminals are the currency exchange offices, ATMs, Public telephones, WIFI services as well as restaurants and bars. In the terminals 2 and 3, there are shops which sell tax-free items. Some of the others services that stand out inside the airport are pharmacies and medication service. There are also easy access facilities for people with disabilities from bathrooms and wheelchairs to others. The airport has a large parking area that runs throughout the day. This service has a cost per hour. Inside the airport there are not hotels, however there are some near it. There are buses or vans that can take you there. It is very important that you know that inside the Cancun airport, there are tourist information desks, but they really are people that hook you to sell you condominium membership. The trick or hook they use to call your attention is give you information on excursions at economic prices, which are conditioned to visit the hotel to promote and show your credit card. We advise you NOT to stop to talk with them, and leave immediately, to look for your transportation which takes you to your hotel or hire it in case you do not have it. We hope this information has been useful and and important for you. The Riviera Maya is a tourist destination in Mexico located in the Caribbean Sea in the state of Quintana Roo. This state at the same time is being part of the Yucatan Peninsula which divides the Gulf of Mexico from the Caribbean Sea. 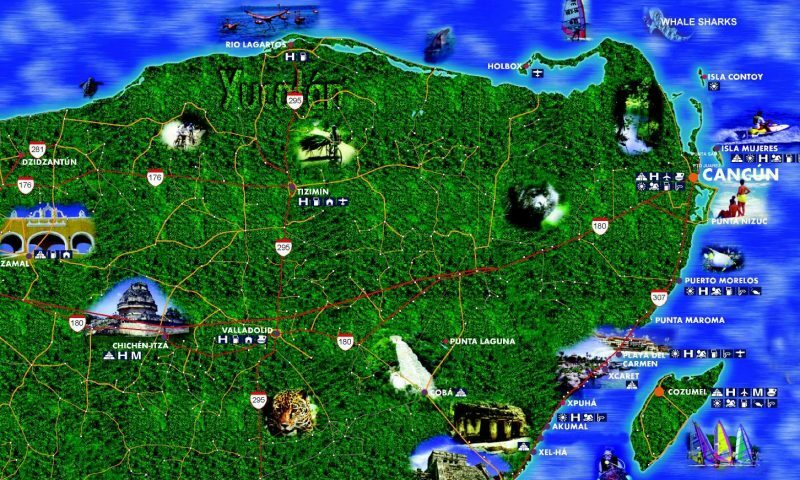 It consists of 3 states which are Yucatan, Quintana Roo, and Campeche. The Riviera Maya is made up of different destinations as well as the Yucatan peninsula which are recommended to visit and to know. The way to move and to know these places is renting a car or hiring the services of a taxi from the place where you stay. However there are transportation companies that offer the private services of vans for families or groups that are more comfortable and economical. 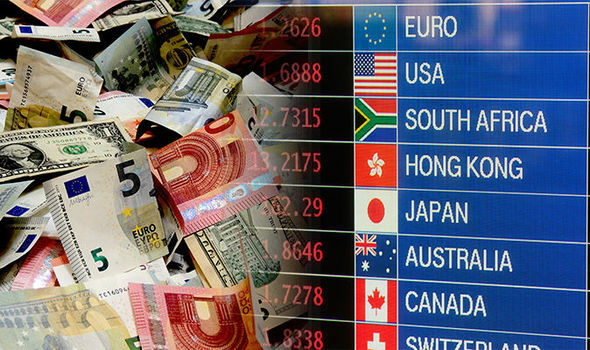 One of these companies is Canada Transfers, which stands out for its quality and reliability. 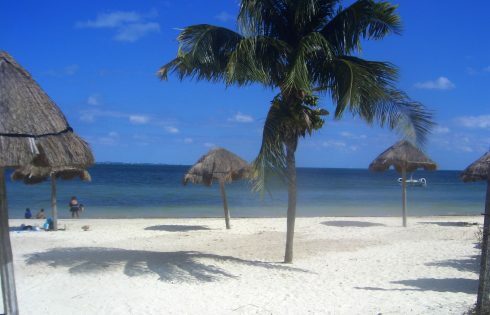 PUERTO MORELOS: It is located 10 miles away from Cancún airport and 20 miles from the city. The place has an offer with a great variety of hotels and restaurants with economic prices. 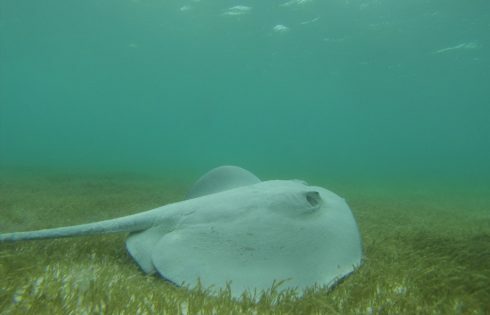 Its main attractions are its beaches and its national reef park, which is a protected natural area with its barrier reef which is located very short distance from its beaches. 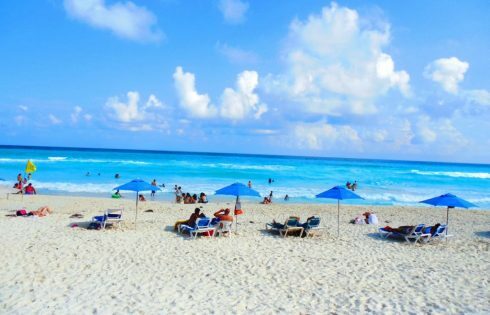 PLAYA DEL CARMEN: It is the biggest and cosmopolitan city of the Riviera Maya. It is located 42 miles from the city of Cancun. . It is a city in constant growth that offers a wide range of hotels of diverse categories. It is very famous its main pedestrian avenue called the fifth avenue with 2.5 miles full of shops and restaurants. Playacar is a residential complex where the main hotels and beautiful beaches are located. PUERTO AVENTURAS: It is a tourist and residential development that has the most complete marina of the Yucatan Peninsula. It is located 54 miles from Cancun and 11 miles from Playa del Carmen. Its beaches are very famous for its beauties and it has a 9 hole golf course. AKUMAL: It is a tourist place of low density hotel and residential. It is located 65 miles from Cancun and 23 miles from Playa del Carmen. The lagoon of Yalku is to the north of the population and is a suitable place for the practice of the snorkel. To the northwest are several cenotes for diving or swimming. To the south of Akumal to 2.5 miles is Aktun Chen, a cave with formations of stalactites and stalagmites and a cenote in its interior. 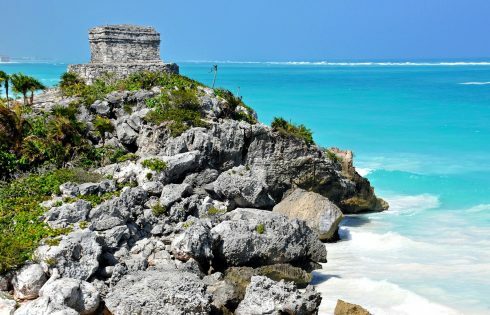 TULUM: It is one of the most important archaeological zones of imposing beauty located on the shores of the Caribbean Sea. 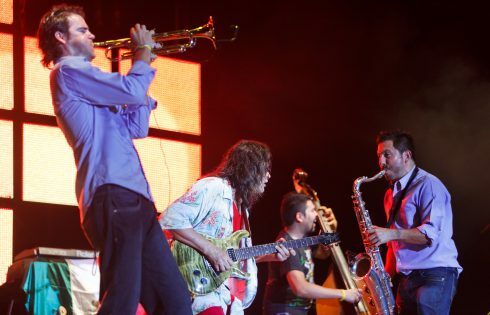 It is located 81 miles away from Cancun, 39 miles from Playa del Carmen, and 27 miles from Coba. Tulum has a good and varied hotel offer, as well as restaurants. To the west are several cenotes and the ruins of Coba. 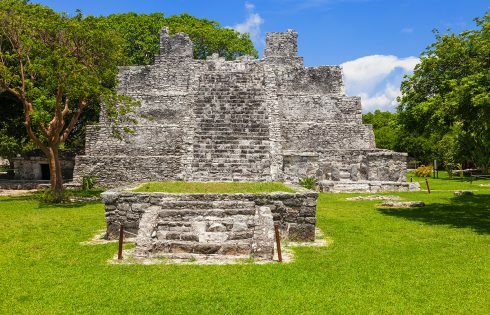 COBA: It is a smaller archaeological zone than Tulum and Chichen Itza that has the highest pyramid of the others with a height of 42 meters from where you can observe a stunning and beautiful view of the Mayan jungle. 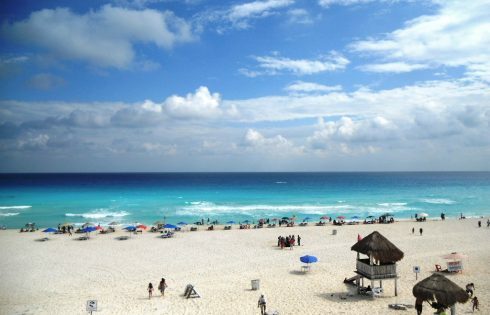 It is located 107 miles away from Cancún, 65 miles from Playa del Carmen and 27 miles from Tulum. 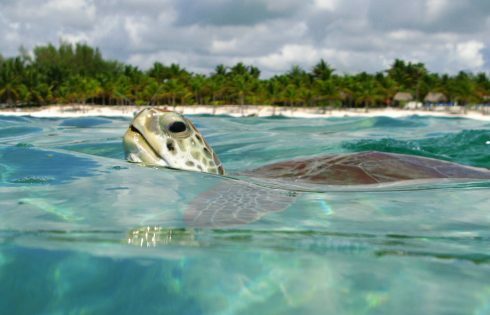 SIAN KA’AN BIOSPHERE RESERVATION: It is a protected natural space that is located on the Caribbean coast near the town of Tulum. It was declared Patrimony of Humanity by Unesco in 1987. 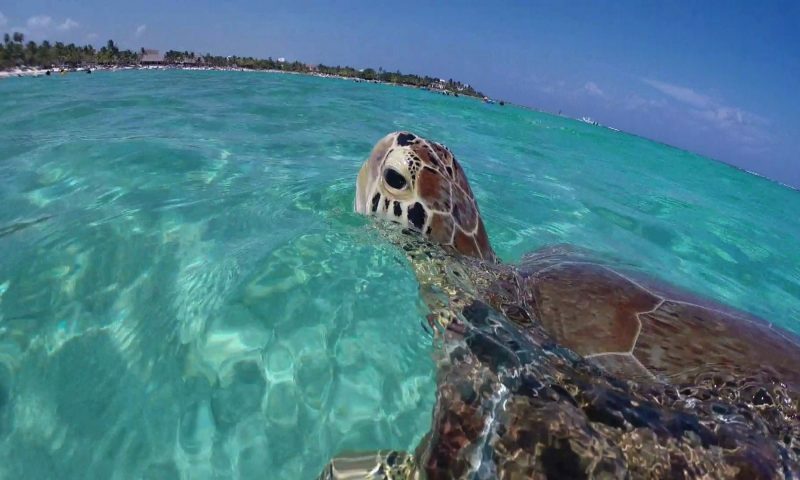 It is located 112 miles away from Cancún, 70 miles from Playa del Carmen and 30 miles from Tulum. ARCHEOLOGICAL SITES: Chichen Itza and Uxmal. 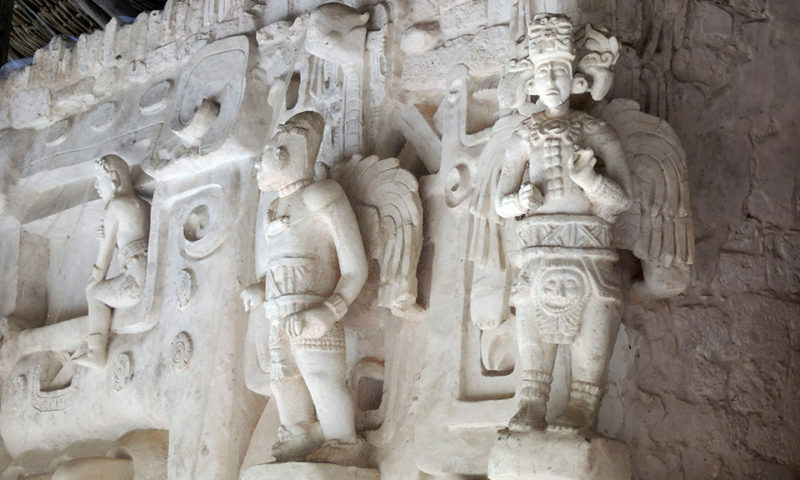 They are two of the best known and visited archaeological sites in the state of Yucatan. The distance between the two places is 124 miles The distance from Cancun to Chichen Itza is 111 miles and to Uxmal is 238 miles. From Playa del Carmen to Chichen Itza is 113 miles away,and to Uxmal 228 miles. From Tulum to Chichen Itzá 94 miles and to Uxmal 210 miles. CITIES: Mérida, Valladolid and Progreso are the main cities of the state of Yucatan. The distance between Cancun and Valladolid is 97 miles. From Cancun to Merida is 188 miles and from Cancun to Progreso is 212 miles. The Riviera Maya comprises 63 miles of beach and jungle; Besides a natural, historical and cultural wealth. A characteristic that stands out in this region are the cultural places and activities that you can do and visit. And every year arrive more tourists to these places. 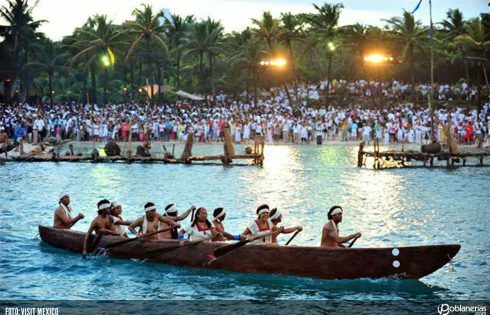 Among the places and cultural events we have the archaeological zones, the Mayan ceremonies, the visit to the Mayan communities to know their uses and customs, the park xcaret, the caverns and sacred cenotes among others. 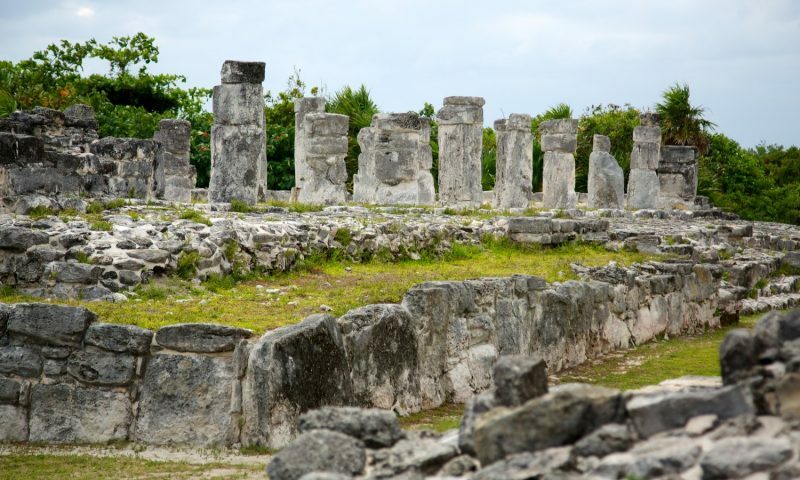 Along the Riviera Maya are two of the main archaeological sites to visit and to know. There are different companies that offer the services of organized excursions to take you to these places. An option to consider is Canada Transfers which specializes in private excursions for small groups, making this private service more comfortable and flexible. PLAYA DEL CARMEN: It is a place that every year carries out different cultural and artistic events, among which are the BPM festival (the electronic music festival), the jazz festival, the Riviera Maya film festival, the Beach fair Del Carmen in the month of July, the gay festival in the month of May, the holy week and more events throughout the year. XCARET: This park offers a cultural folkloric show every night which is already included in the entrance. Also they have two cultural events during the year that stand out from others and they are: The sacred Mayan crossing that is realized in the month of May. And the festival of traditions of life and death from October 30 to November 2. There are organized or private excursions to visit the MAYAN COMMUNITIES in which you have the opportunity to interact with them to know their customs and customs. You can also visit and know the CAVES AND SACRED CENOTES where you can swim, dive and snorkel while you know its environment full of mystery and silence. MAYAN CEREMONIES are rituals that the supreme priests of the community perform to the visitors with a mystical sense of purification and protection. 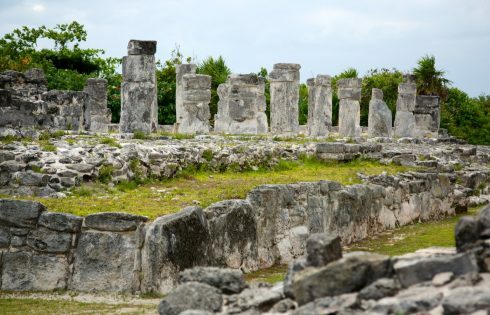 SAN GERVASIO: These ruins are located on the island of Cozumel and was a sanctuary of the Mayan fertility goddess “Ixchel” and the Mayan pilgrimage center that visited her to worship. 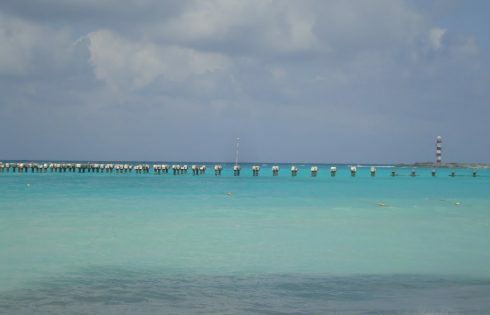 EL MECO: It is located in the municipality of Isla Mujeres on the Puerto Juárez road. The original name in Maya language is not known. . It was a point of reference for coastal navigation and for the interior of the adjacent lagoon. 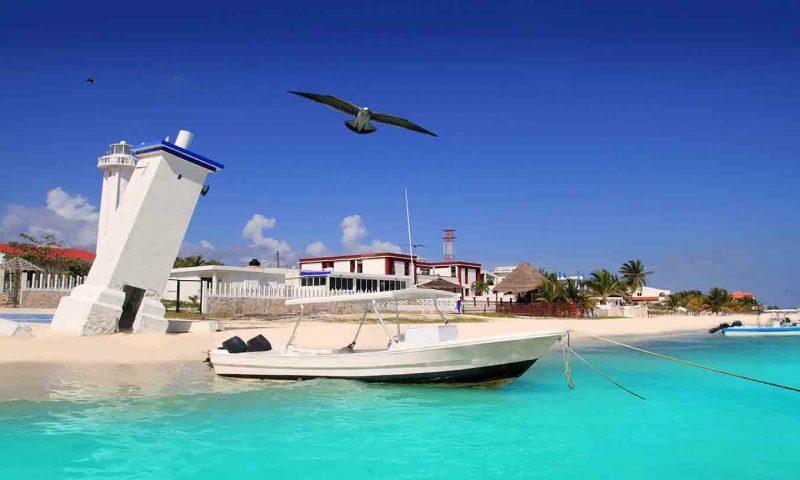 Its strategic location in front of Isla Mujeres makes it a port of connection with the Island. XCARET: It was the settlement of a Mayan community dedicated to maritime commerce and an important port of navigation towards other coastal entities. It was also a ceremonial center of great importance. It is located inside the park that bears the same name. EL REY: It is located in the hotel zone of Cancun at kilometer 18. The original name in Maya language is not known. It was one of the main ports on the Caribbean coast along with the ports of Xcaret, Xel ha and Tulum. It is formed of 47 structures and murals with drawings associated with Mayan rituals. After the arrival of the Spanish, the place was abandoned by the Mayans. SAN MIGUELITO: This archaeological zone is second in importance after the El Rey ruins. 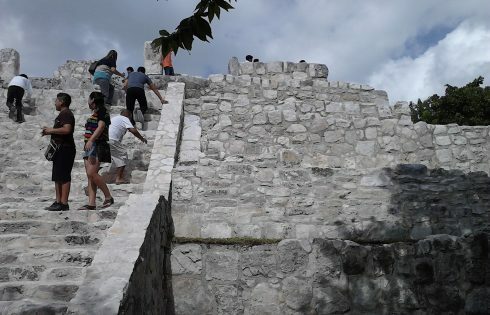 They are located at km 16 of the Kukulkan boulevard. In these ruins is located the Mayan museum of Cancun, which exhibits numerous pieces about the Mayan culture. XEL HA: had a great maritime importance, as well as direct access to arrive at Coba that at that time was one of the most powerful realms. Its building of the birds has painted murals, and there is a painting of a jaguar welcoming the place. The ruins are located within the park that has the same name and the cost to visit them does not include the services of the park. To know these interesting places we recommend that if you are in Cancun you can take the local bus from the hotel zone that takes you to the ruins that are located right there. If you are in the Riviera Maya you can take the bus from the Playa del Carmen bus terminal to Cancun. Also if you travel in a group or family you have the option of hiring a private van that gives you the comfort of looking for you where you stay and the convenience of doing it at the most convenient time for you. For the ruins that are in Xelha or Xcaret you can do it in the same excursion that you hire to visit these parks that are very beautiful. Canada Transfers is a private transportation and tour company that can help you to choose the option that suits you best. The Mexican Caribbean has stood out as one of the favorite places for national and international tourism. 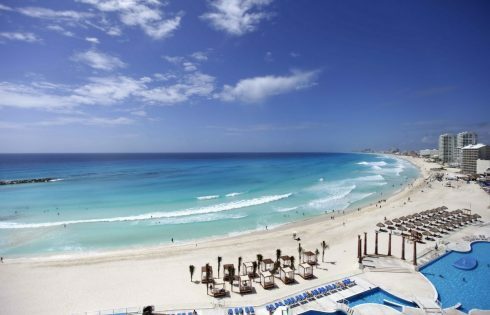 Cancun is one of these places that in addition to offering all kinds of services and fun, its beaches provide for the visitor the recreation and rest they seek in their vacations. There are many beaches along its coasts, however, there are 7 that stand out for their location and services. 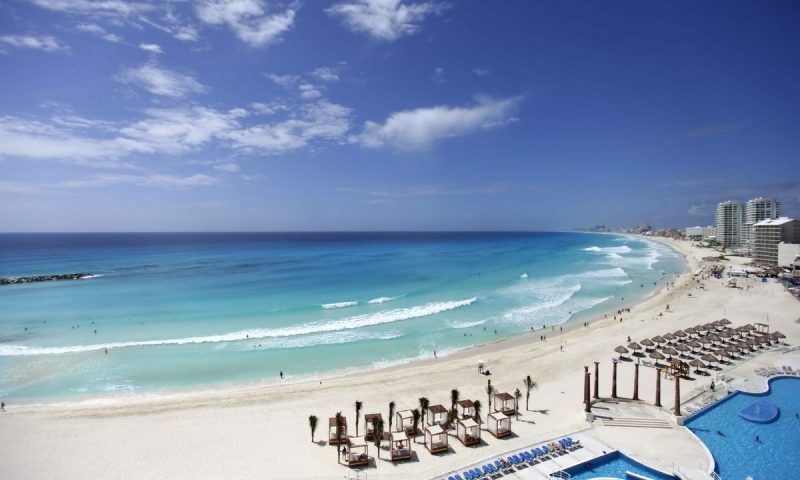 The Cancun hotel zone, has 22km of beaches, and has the form of a 7. It is divided into its open sea area and the bay area where the currents are quieter and without much waves. PLAYA DELFINES: (the viewpoint) It is characterized by having big to strong waves. It is located at the highest point of the hotel zone, which turns it into a viewpoint from where one can appreciate one of the best views of the caribbean sea and the lagoon. Very crowded by locals. PLAYA MARLIN: It has waves of medium to large and has services of restaurants and bars. PLAYA GAVIOTA AZUL: (the city) It has medium to large waves and has a beach club with a cost that includes the services of dressing rooms, showers and swimming pools. PLAYA CARACOL: It has moderate to large waves and has a beach bar service and several shops with different options to buy. PLAYA TORTUGAS: It is characterized by having small waves. 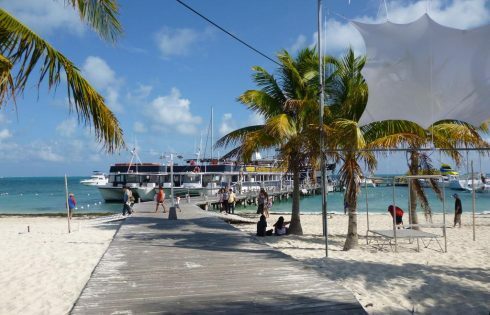 It has a pier with a lot of activity of boats that go on a trip to Isla Mujeres and a ferry for those who want to travel on their own to the Island. Very crowded by locals. PLAYA LANGOSTA: Small and quiet waves, and this nice beach has restaurants, shops and bars. Very visited by local people. PLAYA LAS PERLAS: Small waves, gentle breezes and little crowded. Very calm. 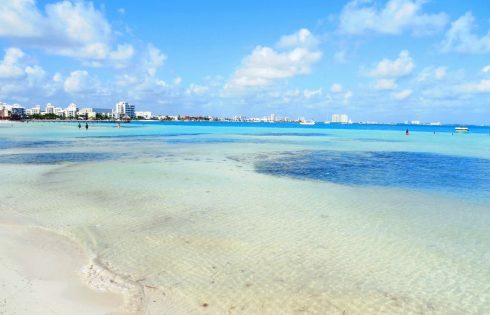 To know these beaches and if you are staying in the hotel zone of Cancun there are local buses working the 24 hours and the cost is very economic. If you come as a group or as a family you can hire the services of a private van to take a tour of all of them and know more places of interest. One company offering these services is Canada Transfer.